1. The terminal fee will be collected and integrated into the airline ticket at the point of sale upon issuance of the ticket to all departing passengers enplaning Manila. b) Secondly, for those exempted passenger who book their ticket online or outside the Philippines, the IPSC will be collected by default since exemption will only be honored upon presentation of the OEC pursuant to sec, 35 of RA 8042 as amended by RA 10022, which provides exemption from travel tax and airport fee . All laws of the country, notwithstanding the migrant worker shall be exempt from the payment of travel tax and airport fee upon proper showing of proof of entitlement by the POEA. ln this case, refund of the full amount of the terminal fee can be claimed at the airport or at MIAA Administration Building upon presentation of the requisite document. Above is a Copy of the Memorandum Circular of MIAA Re Integration of Terminal Fee. Under the circular, terminal fees known as international passenger service charge (IPSC) amounting to P550 per passenger will be integrated in all air tickets, subject to remittance to MIAA by international airlines. However, the scheme was received negatively primarily of OFWs; claiming that it violates the law that exempts OFWs from paying terminal fee. 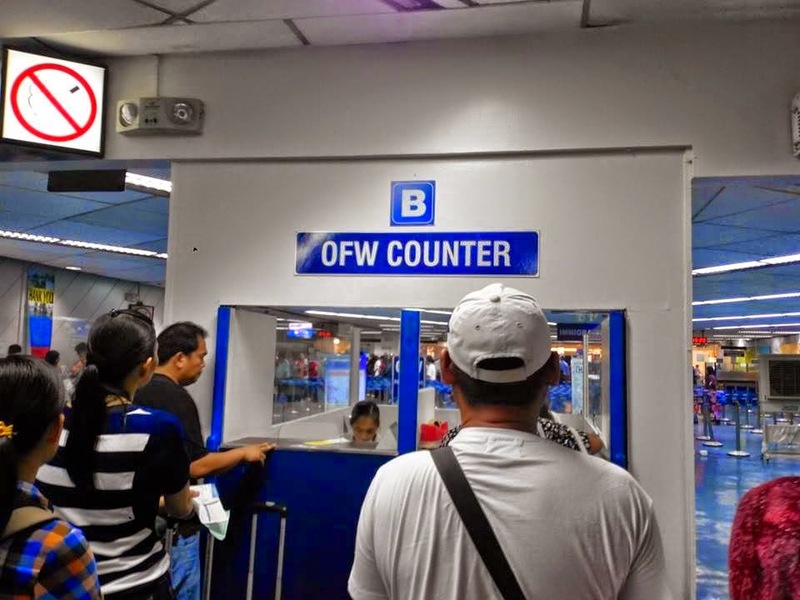 Although there’s a refund process upon the presentation of Overseas Employment Certificate (OEC) and other pertinent documents, Kenji Solis, founder of the Pinoy Expat/OFW Blog Awards, Inc. (PEBA) made his voice heard. “There is no mention in the law about a process to obtain refunds, or for OFWs to pay now and be exempt later,” he said. “Today, justice for all OFWs has been served. 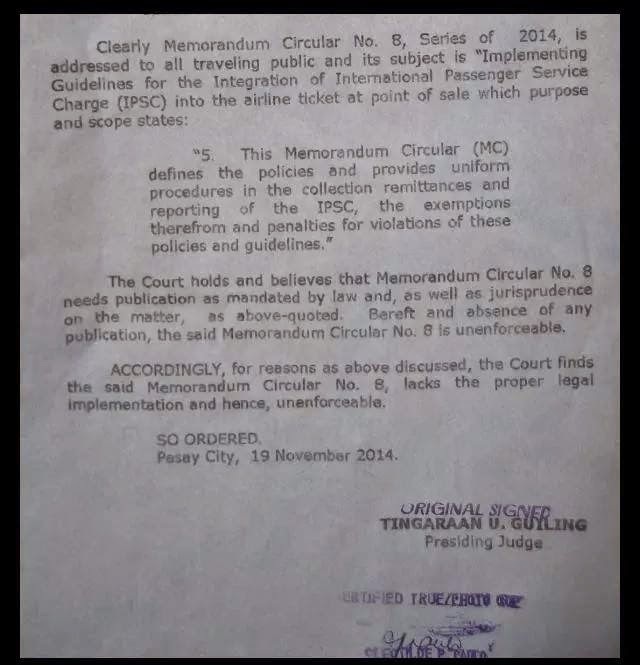 The Pasay RTC finds MIAA’s Memorandum Circular 8 on the terminal fee integration as unenforceable. Congratulations to all our OFWs, the “No to 550″ Coalition, and OFW advocacy groups worldwide!,” said PEBA. Next Next post: Miss Thailand International and Miss Philippines International Are Now Close Friends?